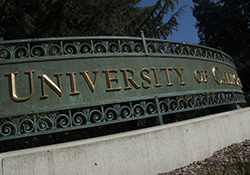 In 2010, a group of staff and students from the UC Berkeley Immigrant Student Issues Coalition forwarded several recommendations to Chancellor Birgeneau regarding immigrant students on campus. Chancellor Birgeneau initiated a task force, and assigned Gibor Basri, Vice Chancellor for Equity & Inclusion, to lead it. The task force’s initial goal was to articulate the issues and needs facing undocumented students on campus, and to make recommendations for how to serve this population. Here is the complete set of recommendations which emerged from this task force. The task force, now known as the Standing Committee for Undocumented Members of the On-Campus Community, works to implement the recommendations and support further research and advocacy with and for undocumented members of the community. 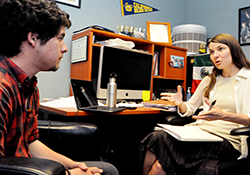 In addition, a research project headed by the organizations below informs the scope of the Undocumented Student Program. One key recommendation from the initial task force was to create a staff position to work specifically on improving undocumented student transition and access to on-campus resources. 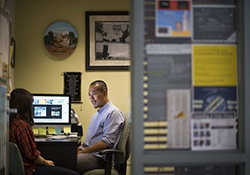 Meng So was appointed as the Undocumented Student Program Coordinator, thus establishing the Undocumented Student Program. The program was initially housed within the Educational Opportunity Program (EOP) and is now a part of the larger cluster of Centers for Educational Equity and Excellence (Ce3). 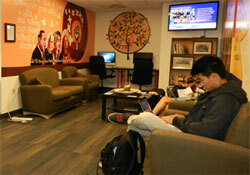 In the fall of 2012, a generous donation made by Elise Haas established the Robert D. Haas Dreamer Resource Center. The Center is a tribute to the courage and ambition of undocumented students at Cal and nationwide, their families, and the dreams of prior generations that are being realized by the extraordinary community of students.